Color the stars. Cut out the squares on the dotted lines. 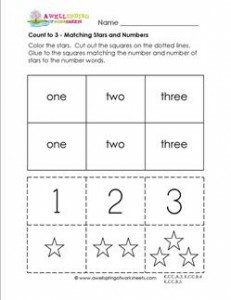 Glue matching the numbers and stars to the number words.